John Fishwick & Sons (J F & S) was a much-admired bus and coach operator based in Leyland, Lancashire. Founded in 1907 when John Fishwick left the Lancashire Steam Motor Company (which was soon to change its name to Leyland Motors) to start his own haulage business. By 1911 a bus service was operated to the nearby village of Eccleston on Saturdays only. This proved to be popular with lorries being used for both general haulage and passenger carriage work. By 1919, J F & S’s first purpose built bus had been acquired, a Leyland S5 or “N” type single-decker with a Leyland body. The bus side of the business continued to expand using vehicles of that make, unsurprisingly, given its proximity to Leyland Motors. The haulage side of the business ended in 1951 but growth of the passenger carrying side continued with the acquisition of J. Singleton, a Leyland based coach operator, which led to further expansion of this operation. 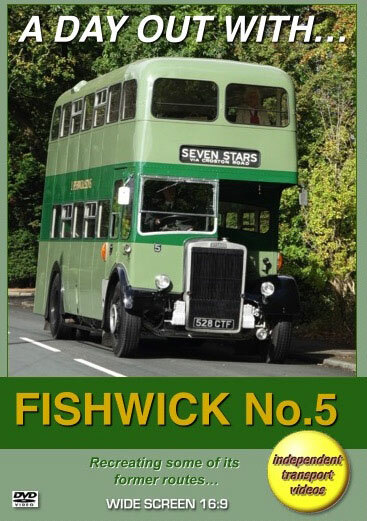 In 1966 came the acquisition of W. H. Fowler, a local body-builder, some of whose bus bodies supplied to Fishwicks were, to say the least, somewhat idiosyncratic in appearance. In 1987, post deregulation, a mini-bus fleet consisting initially of four vehicles was established operating under the “FishKwick” banner. By mid-1997 after 90 years, the fleet had grown to 45 vehicles mainly Leyland Nationals, Lynxes and Atlanteans but also Dennis Darts, Bristol VRTs and Mercedes-Benz mini-buses, with the coach fleet comprising EOS 90s, Volvo B10Ms and DAF SB3000s all to a high quality specification.